"More solar trash cans on the way"
Solar power is helping Manteca reduce trash collection costs. 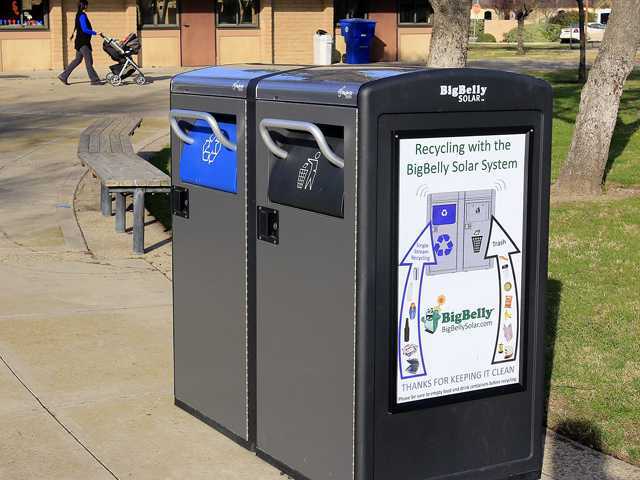 [...] Bigbelly solar-powered trash bins with built-in compactors were placed at Big League Dreams and the quad at the Manteca Civic Center last year. Their use has allowed the city to slash the number of trips a solid waste worker needs to make to empty the bins. It also helps make sure trash bins don’t overflow. “It can take 10 to 15 minutes for a solid waste worker to service some trash cans,” noted Rexie LeStrange who oversees Manteca’s solid waste collection efforts. Unlike collecting residential Toters that are done with automated trucks, park trash bins require a driver to go off route, park his vehicle, walk to the trash container, take it to the truck and dump it and then return it to its location, before going back to their truck. The Bigbelly trash collection bins have reduced the need for pickups by at least half. It also allows recyclables to be separated from regular trash. The next Bigbelly bin will be placed at Woodward Park. Candidates for future solar-powered trash bins are high use locations such as Lincoln Community Park and Northgate Community Park as well as Library Park. The bins — one for trash and the other for all recyclables — were purchased with state grant money from recycling receipts that must be spent on efforts to promote recycling. Once the items inside the trash bins reach a certain level, the contents are compacted. They hold five times the amount of a bin of similar size. When the bins are full, a computer sends a message to the Bigbelly cloud that then notifies the Manteca Solid Waste Division so a pickup can be scheduled. The bins are solar powered and do not require electricity. The bins constantly recharge an internal battery during daylight hours. Bins are able to function for more than 72 hours without direct sunlight. The compaction feature allows them to hold 150 gallons of trash or recyclables instead of the 30-gallon capacity of a non-smart bin. A Bigbelly hopper design feature keeps waste contained in the bin while deterring pest access and preventing water overflow and wind-blown litter. It also assures that no one can get near the compaction mechanism when it is working. 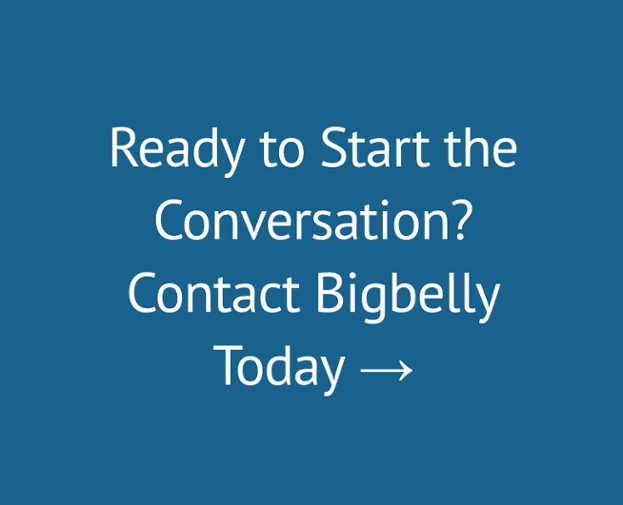 Bigbelly has noted that many cities deploy the smart trash bins in various public venues such as downtowns, parks, and sports complexes in a bid to reduce costs as well as improve aesthetics. Collection costs in some cities can run as high as $2,000 a year per downtown trash respectable due to frequent trash pickups. They also prevent litter and debris from being thrown around and in turn enhance the areas they serve — downtowns, parks, and such — by creating a more favorable view for shoppers, visitors, and tourists. Philadelphia, as an example, has deployed 1,000 Bigbelly stations throughout the central part of that city — including some tough neighborhoods — to reduce costs and keep streets clean. The smart trash cans reduced Philadelphia’s downtown area collections from 17 to three a week. That city is averaging $1 million a year in operation, fuel, and truck costs.